Welcome to the Caribbean! Emerald Coast by Owner is proud to offer a great selection of luxurious vacation rental condos throughout the condominiums. These condos are in a convenient location so not only can you enjoy the gorgeous beach and water, but you can take full advantage of all the local attractions and great restaurants in the general area. The opportunities to have fun are endless in this area. When you aren't on the beach or at the condo taking in all the gorgeous views and scenery around you, I'm sure you'll be craving a meal for something. Allow us to help you, The Hangout is a really cool scene with a festive mood, great food, and live music! Mudbugs Seafood Bar and Grill serves drinks with its dance club and sushi along with other seafood. Feel free to go fishing, deep sea diving, on a boat tour, paddle boarding, and more! View our Caribbean condo listings below and be sure to click the EMAIL OWNER button found on each listing to send a property owner a message directly. The owner will get back to you shortly and glady answer any questions you may have as well as assist you in the booking process. ECBYO does not charge booking fees! 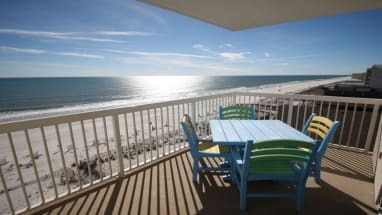 Book online today with emeraldcoastbyowner.com and save!